The book revealed Straten’s “four-star superfoods”, which “supply the vital bricks that build your body’s resistance to stress, disease and infection”. The list held few surprises, consisting of, you know, stuff that’s good for you: common fruit and veg, whole grains, nuts. Foods we’re especially keen on eating in January, as an antidote to Christmas excesses. Wouldn’t these foods be more accurately described as simply “food” (as opposed to junk food)? Nevertheless, the notion of superfoods was, and still is appealing. Except this century, the term is now used to assign near-magical powers to overpriced, exotic foodstuffs. It’s promotional potency went into turbo boost when the theories about antioxidants – probably the most successful “the science bit” spiel of all time – hit the public consciousness. Ever since, food sellers have clambered to keep “discovering” novel, unparalleled sources of “extraordinary nutrients”. Fleming goes on to debunk the superiority of these foods that, while healthful, won’t keep you out of the grave. As she concludes, “the key advice remains the same: eat a varied diet including plenty of colourful vegetables and whole grains.” Amen to that. Check out her full post here. Over the weekend, a friend [thanks, L!] offered me a prune. I can honestly say that I don’t remember ever having eaten one previously, so I decided to give it a try. I didn’t love it, but I didn’t hate it either, which is about par for the course when it comes to my reactions to most dried fruit. We somehow got to talking about how in the world prune juice gets made. After all, since a prune is a dried plum, can there actually be much juice left to squeeze from it? Not really, it turns out. 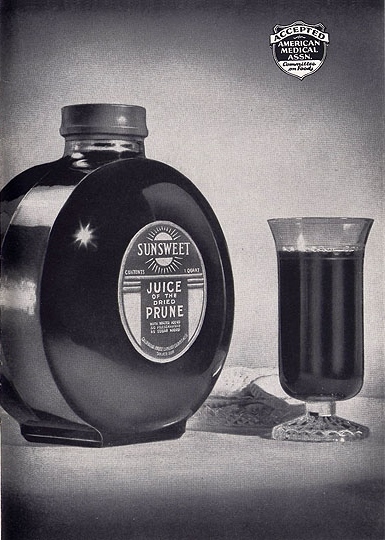 Prune juice differs from other fruit beverages in that it is a water extract of dried fruit, rather than squeezing of fresh produce (Loh, 1980). In 2000, the Food and Drug Administration granted the California Prune Board permission to use “dried plums” as an alternative name to prunes. Why the name change? Because 90% of consumers told us that they’d be more likely to enjoy the fruit if it were called a dried plum instead of a prune. Prune juice didn’t get rechristened, though. As a story from ABC News explained back in 2000, “Prune juice will still be prune juice, however. Dried fruit juice would be a contradiction in terms, the industry was told by the Food and Drug Administration.” Ya think? It’s the time of year when mules start showing up at grocery stores, farmers’ markets, and produce stands. Not actual mules, nor the refreshing Moscow Mule popularized by Oprah Winfrey*. No, I’m talking about seedless watermelons. Ever wonder how a plant with no seeds came to be? Or where those hard black seeds went? Well, the seeds got stopped before they could start, thanks to a little chemical intervention and some careful breeding. 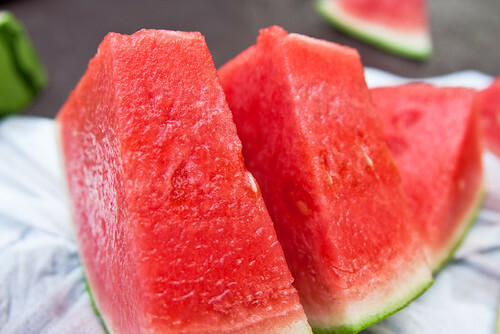 Producing a seedless watermelon involves three steps. First, a plant is treated with colchicine, a substance that allows chromosomes to duplicate, but prevents the copies from being distributed properly to dividing cells. As a result, a plant with four sets of chromosomes is created, a “tetraploid.” In the second step, a tetraploid plant is crossed with a [regular] diploid to produce offspring that are … triploid, with three sets. They get half the number of chromosomes from each parent. Finally, the triploid seeds are grown into plants. For all the details, including why you still need diploid watermelon plants around for seedless triploids to bear fruit, check out the NPR story (audio or transcript) or the Cornell post. And if, like me, you find the average watermelon to be less flavorful than you’d like, keep an eye out for varieties like the wonderful Yellow Doll. The Conscientious Omnivore is away. This is an encore presentation of a post that originally appeared in slightly edited form on July 26, 2012. Five years ago, Slow Foods’ “Most Endangered Foods” list included the Marshall Strawberry. The fruit, known as the finest eating strawberry in America by the James Beard Foundation, is a deep, dark, red, with an exceptionally bold flavor. After World War II, the Marshall was devastated by viruses and has been left out of conventional supermarket supply chains due to its soil specifications and the delicate handling it requires. The fruit is so soft, in fact, that it leaves a trail of juice when harvested and moved from the fields. This makes the Marshall difficult to ship and store, but oh-so-good to eat. But Indiana-based artist Leah Gauthier does not believe that the absence of the Marshall in grocery stores means we can’t enjoy it, and her strawberry project introduces a new philosophy of produce distribution. [Gauthier’s] series of works started with a nectarine in Spain: “I bit into a nectarine and it was like a religious experience. I thought, why do they have such great produce over there, and why is what I buy in the grocery store completely tasteless? It set a quest in my mind, to figure out why this was so. I did a lot of research; I found out about industrial agriculture and monocultures and food traveling 5,000 miles from farm to market. This is why it’s tasteless.” So she came back and started planting hardy heirloom fruits and vegetables from seed, not just for her own gustatorial pleasure, but also to be more self-sufficient. 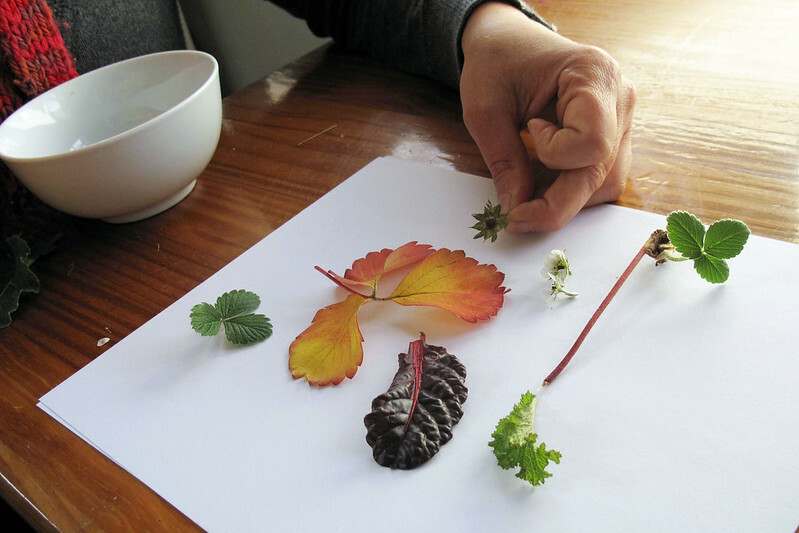 For more on how Gauthier’s passion for full-flavor local produce intersects with her artwork, check out Meyer’s story, as well as Annie Corrigan’s report from January of this year. Unlike sweet cherries, America’s tart cherries are too fragile to ship very far, so most people never get to taste a fresh one.They’re typically frozen, then baked into that iconic American dessert, the cherry pie — and cherry pies aren’t as popular as they used to be. Yet the humble sour cherry is experiencing an unlikely renaissance — and the best may be yet to come…. [L]ast year was a disaster, perhaps the worst in memory. An early spring caused the trees to blossom, and then, on March 23, a blast of cold air arrived. Mike Van Agtmael, a cherry farmer in the town of Hart, stayed up all night, watching the thermometer. “It got to about 3:30 a.m., and the temperature started dropping. It didn’t matter what we did, it just kept dropping and dropping,” he says. The blossoms froze. The crop was ruined. Now, there’s a reason why all those trees bloomed and froze in unison. 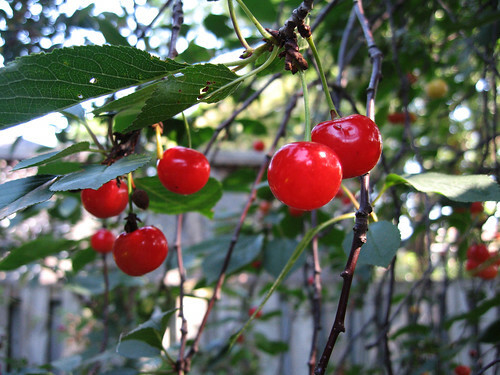 The vast majority of tart cherry trees in the U.S. are genetically identical. But they don’t have to be. And this is where we get to the second part of the tart cherry renaissance. Find audio and text versions of the story here, and his nice followup post here. Although the disease, citrus greening, was first spotted in Florida in 2005, this year’s losses from it are by far the most extensive. While the bacteria, which causes fruit to turn bitter and drop from the trees when still unripe, affects all citrus fruits, it has been most devastating to oranges, the largest crop. So many have been affected that the United States Department of Agriculture has downgraded its crop estimates five months in a row, an extraordinary move, analysts said…. Since 2006, citrus greening has cost Florida’s economy an estimated $3.63 billion in lost revenues and 6,611 jobs by reducing orange juice production, according to a new study from the University of Florida’s Institute of Food and Agricultural Sciences. 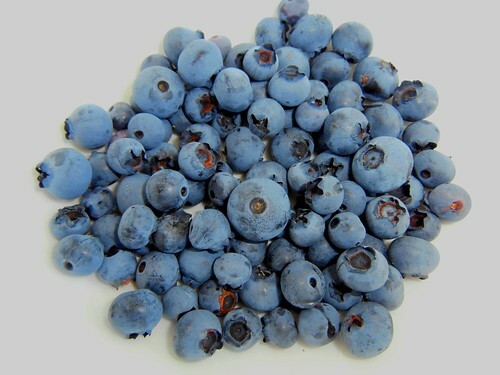 It affects fruit ripening, lowers fruit production and ruins the taste of the affected fruit on any given tree. Professor Phil Stansly, UF/IFAS, Immokalee Research Center, said that most affected fruits drop, and what is left looks and tastes normal. The symptoms are difficult to distinguish from several other diseases and nutrient deficiencies. Because I won’t make the nutrient and insect control [i.e., pesticide] applications, to achieve my dream of fresh honeybell orange juice from the backyard, I may need to look at my citrus trees as short-timers, maybe only lasting seven to eight years. I might replant a new citrus tree every five to 10 years to replace the declining trees. We should plant other fruit that will grow in our unique subtropical climate, whether it is low-chill peaches or plums or papayas for that breakfast smoothie. See more about alternative fruit choices at trec.ifas.ufl.edu/fruitscapes. 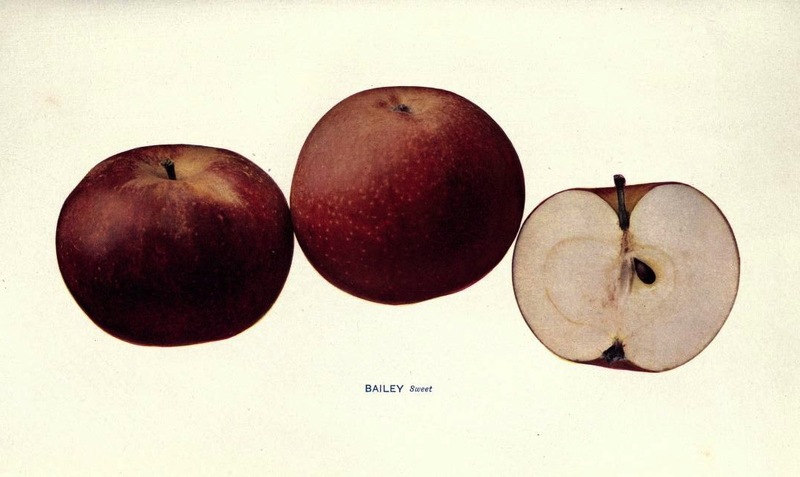 Bailey Sweet, color plate from The Apples of New York, Volume 1 (1905). Even when abandoned, an apple tree can live more than 200 years, and, like the Giving Tree in Shel Silverstein’s book, it will wait patiently for the boy to return. There is a bent old Black Oxford tree in Hallowell, Maine, that is approximately two centuries old and still gives a crop of midnight-purple apples each fall. In places like northern New England, the Appalachian Mountains, and Johnny Appleseed’s beloved Ohio River Valley—agricultural byways that have escaped the bulldozer—these centenarians hang on, flickering on the edge of existence, their identity often a mystery to the present homeowners. And John Bunker is determined to save as many as he can before they, and he, are gone. The article is a great read and will inspire you to seek out new apple varieties. Check it out here, along with an accompanying post from editor Sarah Zhang on an amazing pair of books from more than a century ago (and available for free online) titled The Apples of New York. For more, check out this episode of Wisconsin Foodie that features Brightonwoods Orchard and ÆppelTreow Winery & Distillery of Burlington, Wisconsin.